The Centre for Compressor Technology hosts the 10th biennial International Conference on Compressors and their Systems. 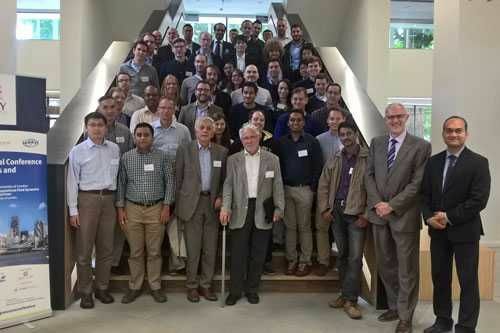 The Centre for Compressor Technology at City, University of London, organised and hosted the 10th biennial International Conference on Compressors and their Systems from 11th to 13th September. The conference was supported by the Institution of Mechanical Engineers (IMechE), the International Institute of Refrigeration (IIR), and the Institute of Refrigeration (IOR) and was sponsored by Holroyd PTG, Howden, Kapp Niles, Hoerbiger and Samputensili. City’s President, Professor Sir Paul Curran, welcomed delegates to the conference on 11th September, emphasizing the importance of the Conference to the University’s overall strategic plan. Chaired by Professor Ahmed Kovacevic, Howden Chair in Engineering Design and Compressor Technology, the conference was attended by 214 delegates from 23 countries, with 100 papers presented. Eighty-eight technical papers were delivered in parallel sessions during the first two days of the conference. These were selected from 184 proposed abstracts, peer reviewed by globally recognised experts, and published by the renowned Institute of Physics’ (IOP Conference Series: Materials Science and Engineering). The tone of the conference was set by four keynotes two on each day of the conference focusing on the history and development of the compression industry on the first day and on refrigeration on the second day. The Industry Day, introduced for the first time at the 9th Conference in 2015, has now become a standard event on the final day of the conference. Eight industry representatives spoke to 100 delegates about business and market influences on the design and manufacture of compressors, including the impact of new technologies and changes in economic, environmental and regulatory conditions. The conference was preceded by the 3rd Short Course/Forum on Computational Fluid Dynamics in Positive Displacement Compressors, from 9th to 10th September, organised by Dr Sham Rane. This attracted 56 delegates from industry and academia. The Conference Dinner was held at The Royal Society, where world turbulence expert, Professor Emeritus Kemo Hanjalic FREng (from Technical University Delft), delivered the keynote speech. 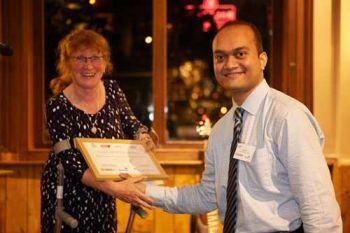 During the social event held at St Bart’s Brewery on the second night, City’s Dr Sham Rane was awarded the Best Technical Paper Award (received from the President of IMechE); Manuel Grieb from Technical University Dortmund won the Best Student Paper (received from the Director-General of the International Institute of Refrigeration); and the Best Student Presentation was awarded to Marcus Yiquan Lin, from Singapore’s Nanyang Technological University (received from the President of the IOR). Positive displacement compressors draw in and capture a volume of air in a chamber, then reduce the volume of the chamber to compress the air. Reciprocating Piston Compressors, Rotary Screw Compressors, Rotary Vane Compressors, and Scroll Compressors are all positive displacement compressors.